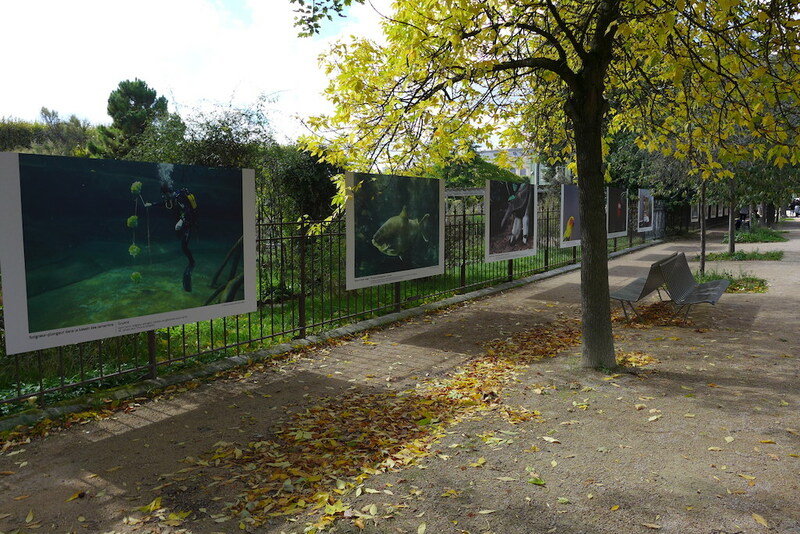 Our walk starts at the Seine level in the main alleys of the Jardin des Plantes between the Galerie de l’Evolution and the Seine. 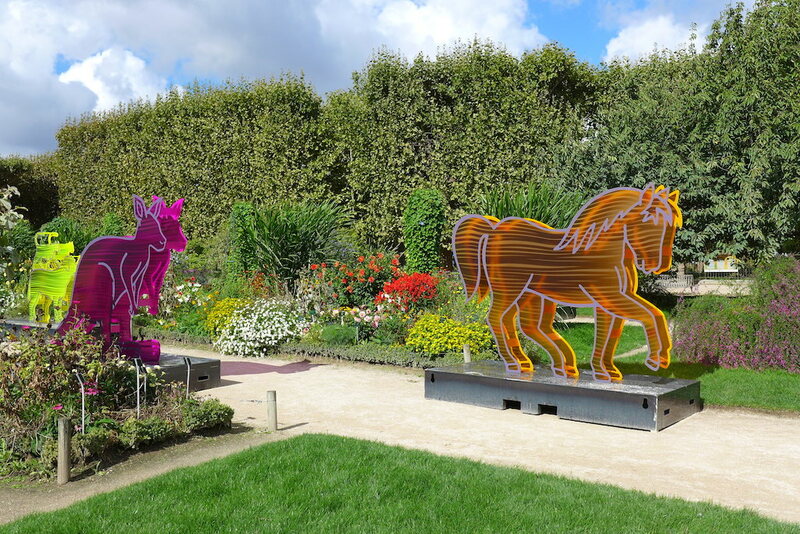 This garden is one of the world’s foremost botanical gardens and it offers the widest variety of flowers, plants and trees which can be admired in Paris. One can enjoy it at any time of the year and you may remember the article that I wrote in spring about the cherry trees in bloom. The wonderful colours of fall are also worth a visit in this garden. 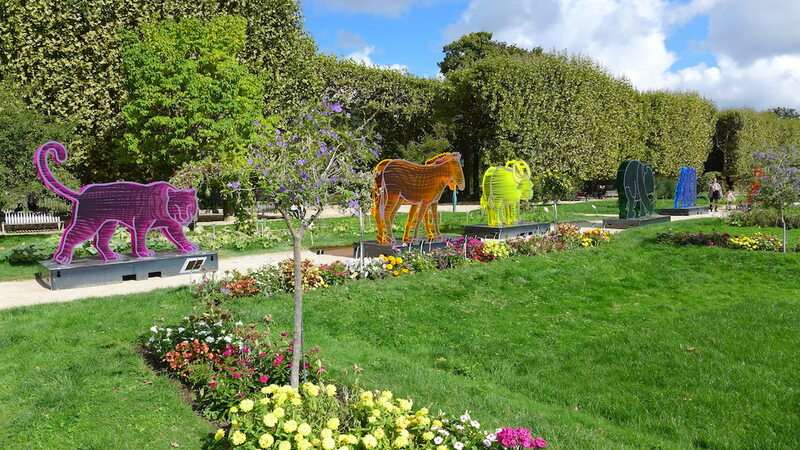 And at the moment there is an original exhibition of colourful sculptures of animals along the large alleys with flowerbeds. It is called: ‘the animals of ADN Climate’ and is made to remind us the endangered species due to the climate disturbance. Do not miss it, it is cheerful and funny! Get out of the Jardin des Plantes through the way out located at the corner rue Geoffroy Saint Hilaire/rue Cuvier and after admiring the Fountain Cuvier on your right, walk up the Rue Lacépède for a few meters and turn in the first street on your left: the rue Quatrefages which leads us to the Place du Puits de l’Ermite. 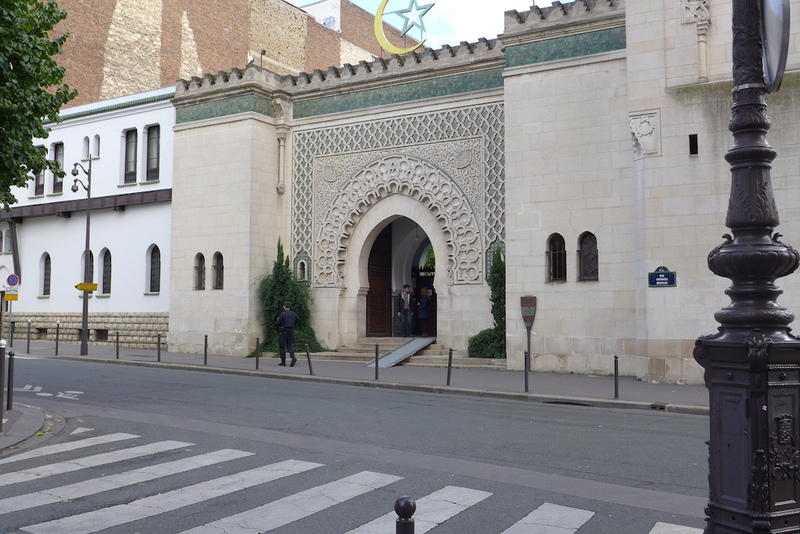 The entrance of the Grande Mosquée de Paris is located on the charming Place du Puits de l’Ermite. 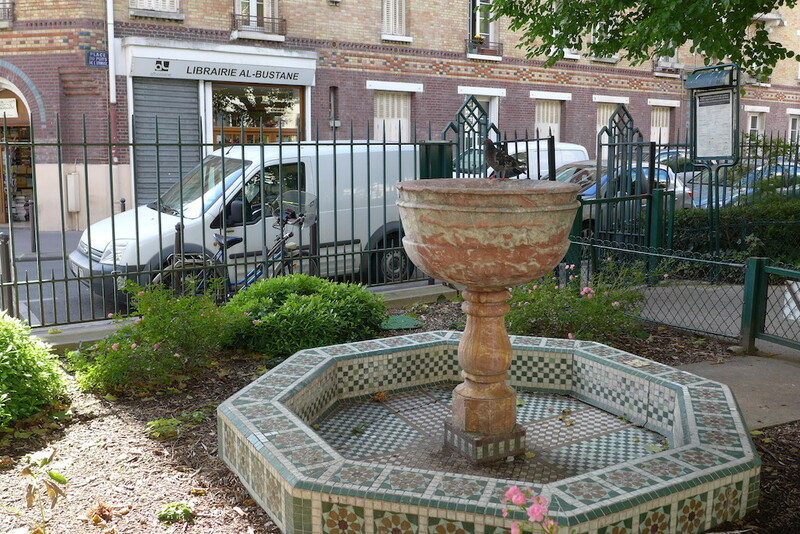 This very quiet square shelters a tiny garden with an elegant marble fountain in the same Hispano-Moresque style as the nearby Mosque, a playground for children and a few benches where to have a rest. The Mosque itself was built in the 20’s in an Hispano-Moresque style and one cannot miss its 33-meter high minaret. It is possible to visit it either in an independent way or with a guided tour (without any extra cost) except on Friday and except at prayer times. 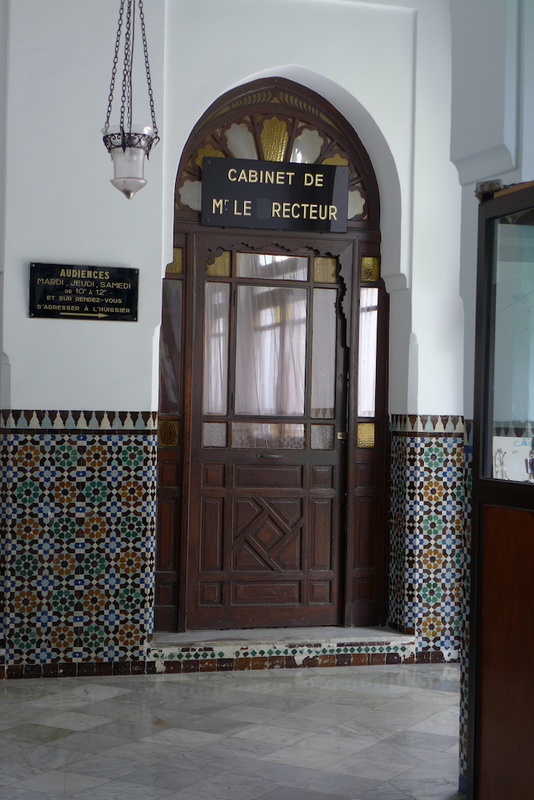 The entrance fee is 3€ and I really recommend it: both the inner patio and the prayer room have a beautiful architecture and decoration. 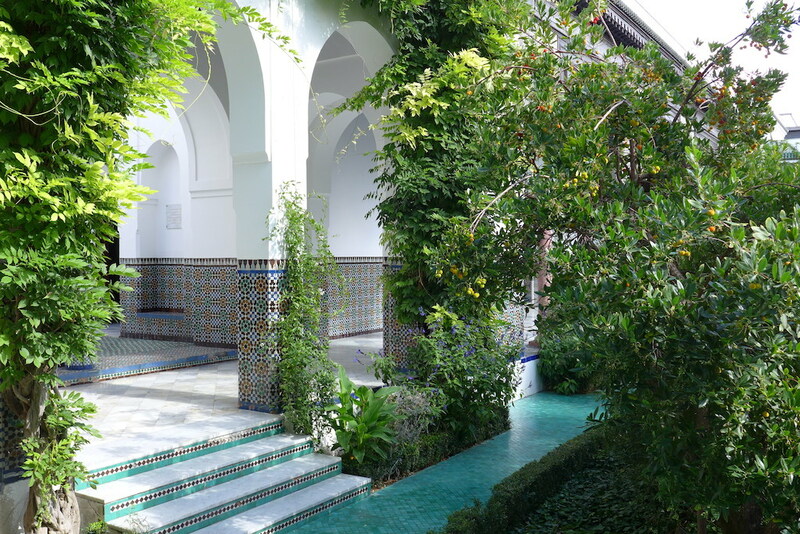 One can also be tempted by a body care in the hammam (women only) or by a mint tea in the lovely garden with a small fountain. 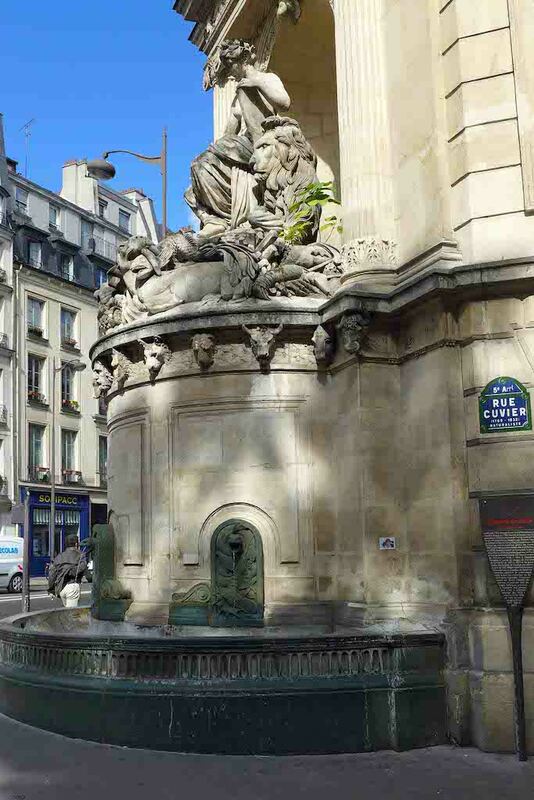 Walk in the rue du Puits de l’Ermite and cross the rue Monge. 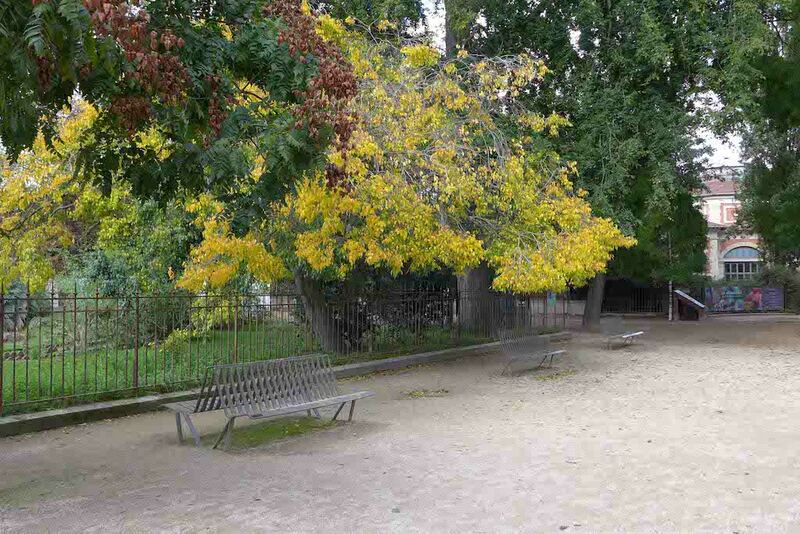 On your right is the Place Monge, a pleasant square with trees and a large fountain in its center. Three times a week it shelters a food market which is much appreciated by the local residents: fruit and vegetables, organic produces, fish, meat, bread, flowers, greek, chinese, lebanese or west indian specialities, … It takes place on Wednesdays, Fridays and Sundays from 8am till 1pm and is always very colourful and lively. 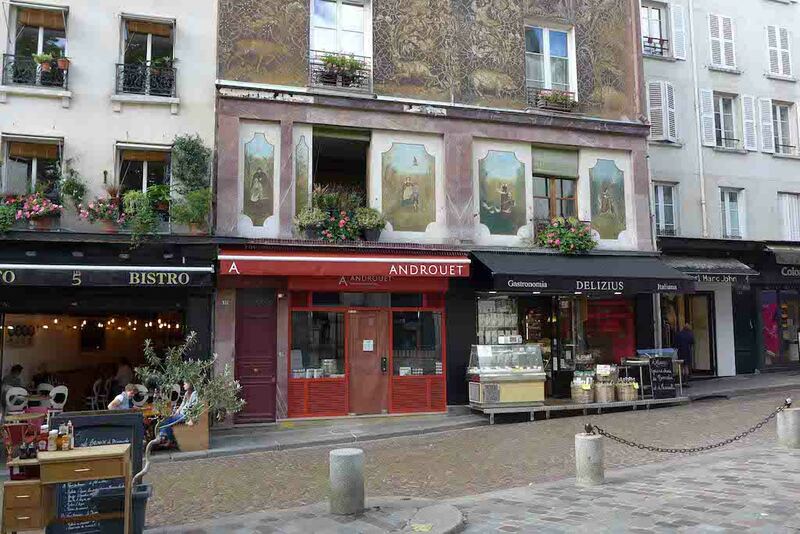 If you do not have the opportunity to go for this walk on a day when the food market is taking place on the Place Monge, do not worry… and keep walking towards the rue Mouffetard. 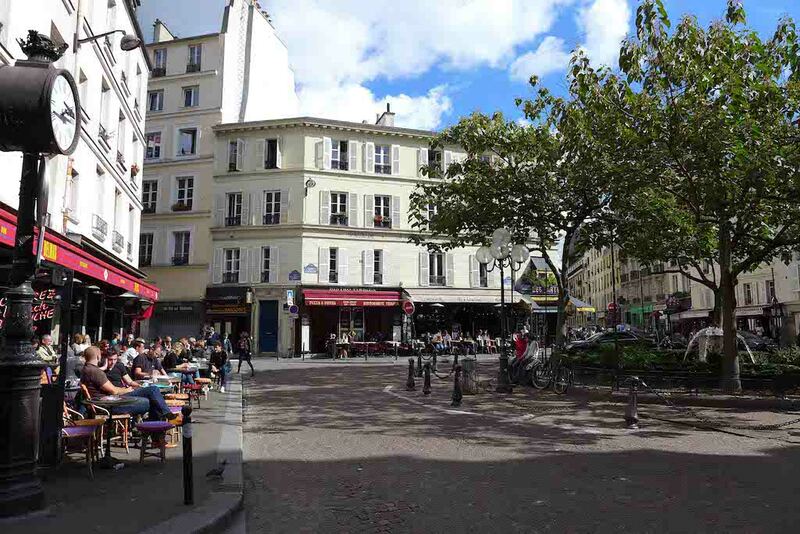 Then turn left in it and walk down until the end of it, Place Saint Médard. 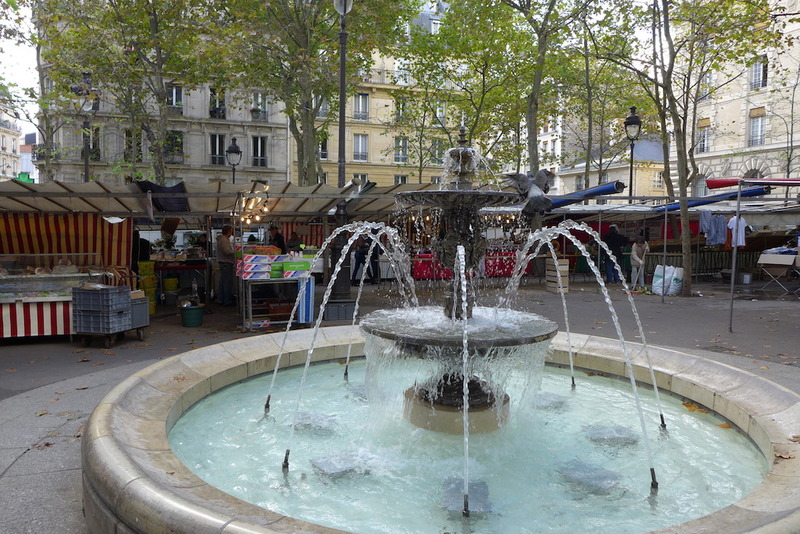 A permanent food market is taking place there every day, morning and afternoon, except on Mondays, offering excellent meat, fish, cheese, bread, fruit and vegetables, … nevertheless more expensive than on the Place Monge. 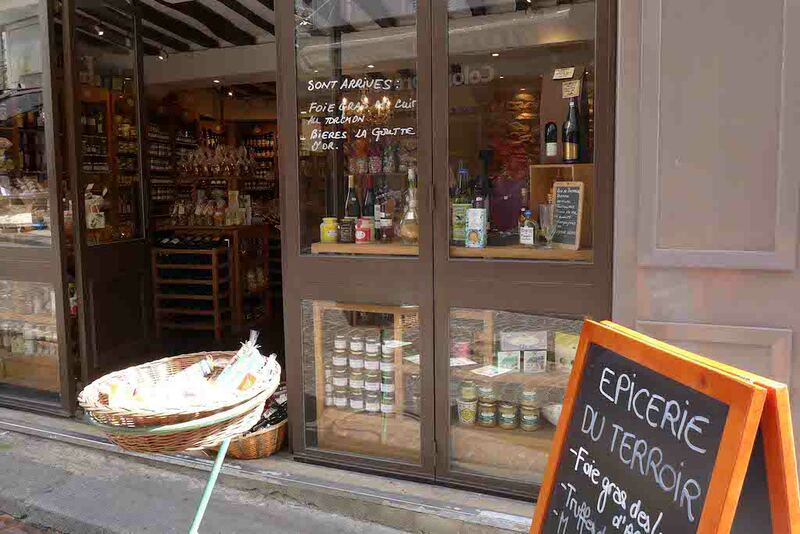 And down the street a pleasant recent shop called ‘L’épicerie Mouffetard’ suggests local products from every French region: I like their selection of the best French fine food products and can recommend them. But take care and do not buy too much so that your bag is not too heavy. Indeed you have now to turn back and walk up the rue Mouffetard towards the Place de la Contrescarpe. At the extreme end of the rue Mouffetard, a bit further than the Place de la Contrescarpe keep walking straight ahead until you cross the rue Clovis and turn left in that street towards the Place du Panthéon. On the right side of it walk along the Church Saint Etienne du Mont. 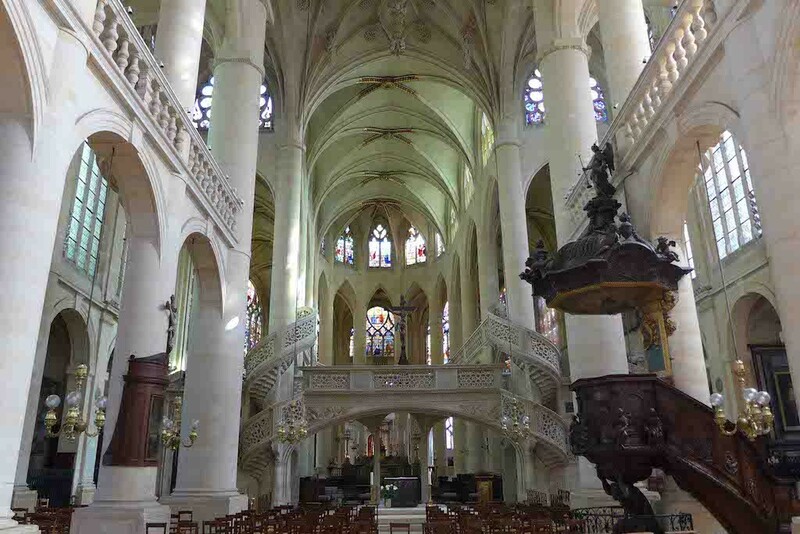 This Church, which is a very harmonious blend of Gothic and Renaissance styles, is one of the most remarkable churches in Paris especially inside. It shelters two wonderful works of art: the choir screen (we call it the “Jubé” in French) which is the only one that you can see in Paris and which is made of stone so finely cut that it looks like lace; and the stained glasses which can be admired in the ambulatory and in the cloister’s gallery. 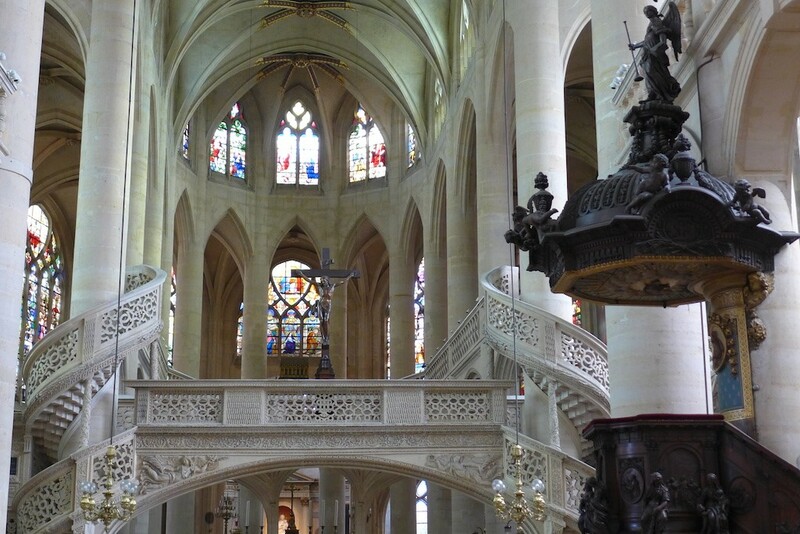 One can easily enter Saint Etienne du Mont and appreciate its peaceful atmosphere favouring meditation. Indeed it is not crowded with many visitors. Enjoy! We have now arrived on the Place du Pantheon which is located on top of the Montagne Sainte Geneviève. 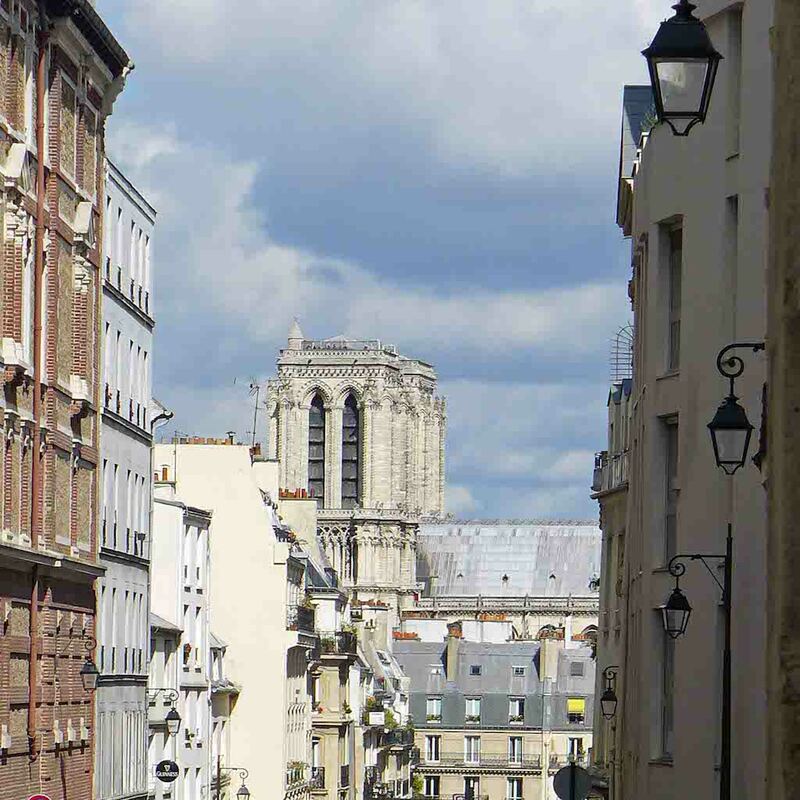 On the right side running on from the rue Valette one can see the top of Notre Dame: the towers and the roof. 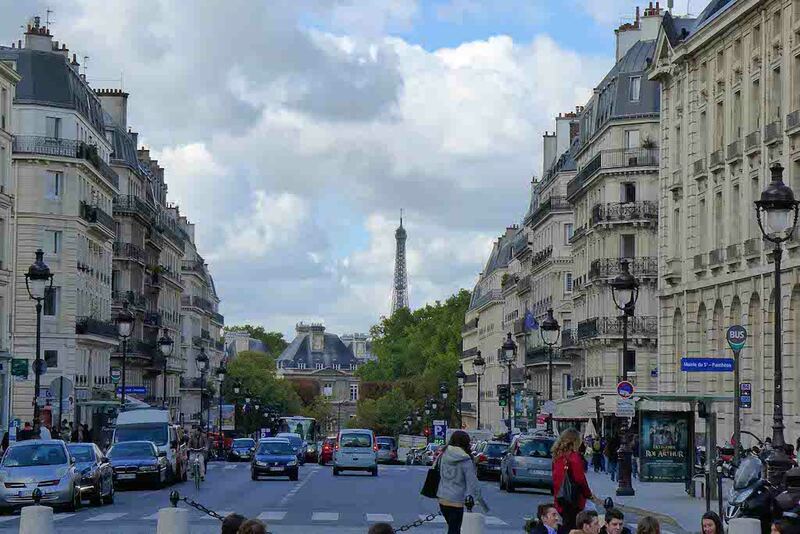 And in front of the Pantheon starts the rue Soufflot with a nice view on the Eiffel Tower in the background. The dome of the Pantheon has just been restored and its pure white is rising up majestically towards the blue sky: wonderful! 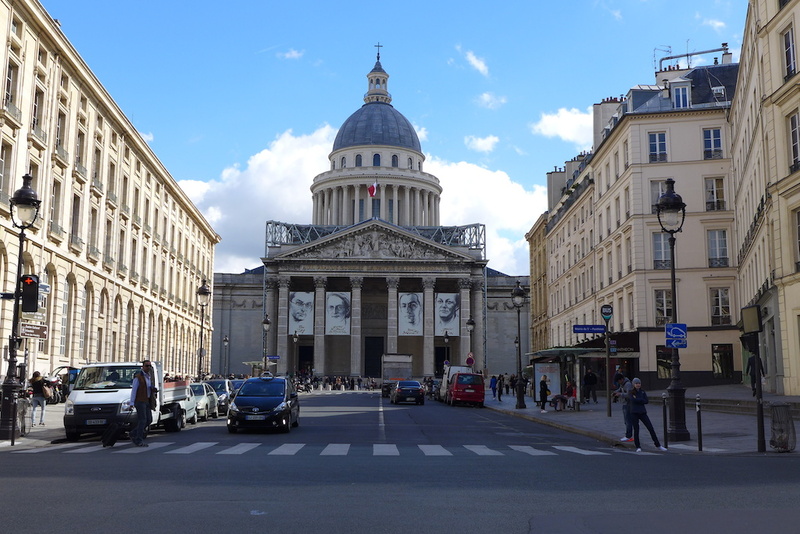 On the front side of the building one can admire the portaits of the four famous members of the French Resistance: Pierre Brossolette, Geneviève de Gaulle Anthonioz, Germaine Tillion et Jean Zay, who entered the Pantheon last May. 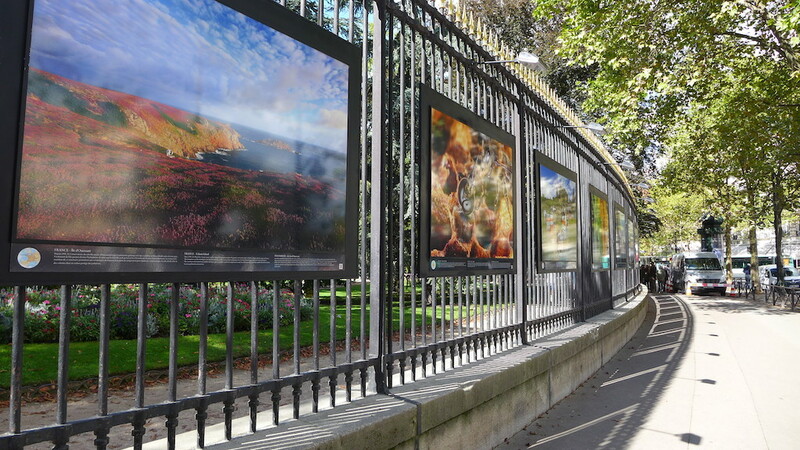 An exhibition dedicated to them is currently taking place indide the monument. The inside of the building is fascinating, especially its crypt where French great men and women have their tomb and the Foucault pendulum which has just been put back in place at the end of the restoration of the dome and illustrates the daily rotation of the earth. Another must-visit! 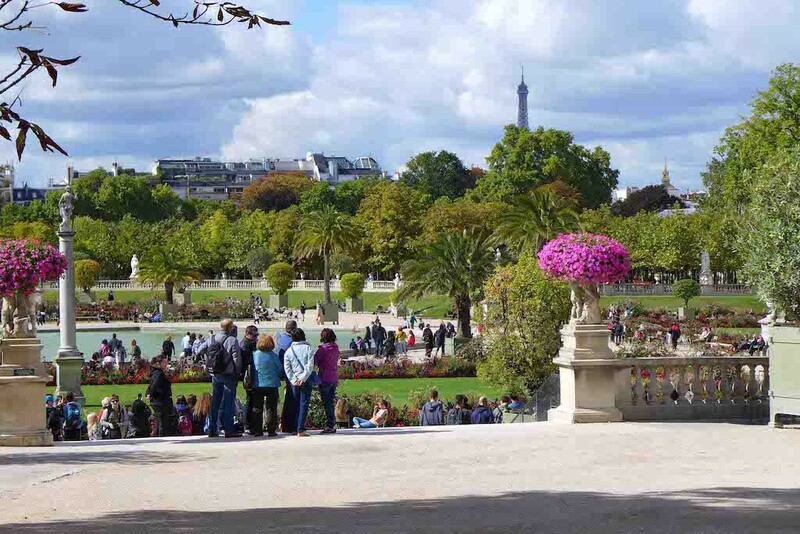 Walk down the rue Soufflot to our last point of visit, the Jardin du Luxembourg, nicknamed the ‘Luco’ by its regular visitors, mainly the local residents or students. You are now leaving the Montagne Sainte Geneviève. 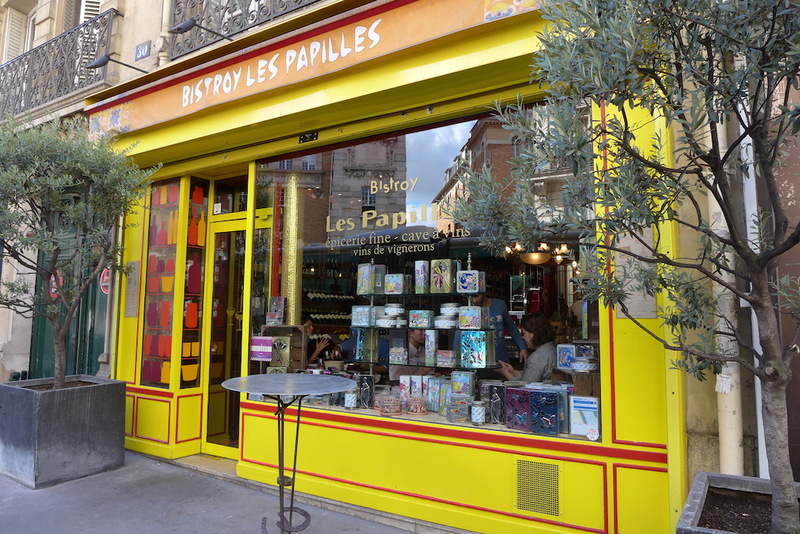 For a short while many trendy fashion shops (Maje, Sandro, Claudie Pierlot, …) have opened in the rue Soufflot which used to be (and still remains) the street for law bookshops in Paris. 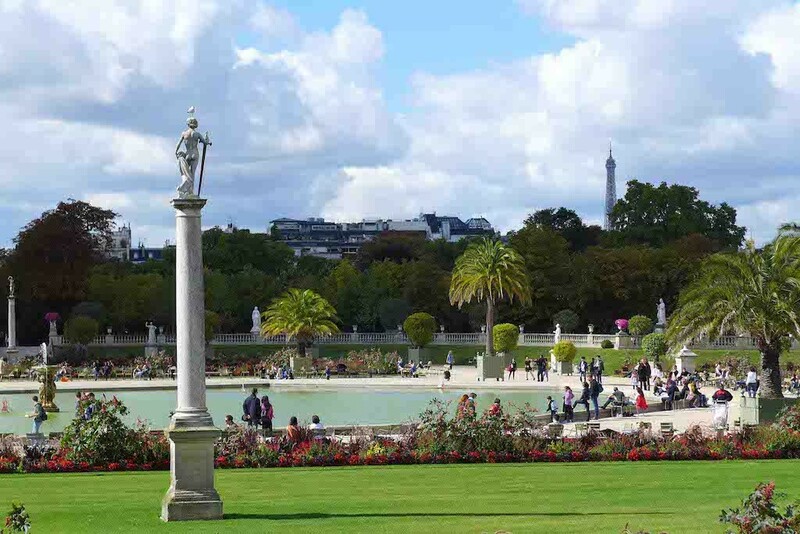 The Jardin du Luxembourg has a smart-retro side which makes it a very special and memorable spot to visit, even more for families as children are in favour there: a huge playground, pony rides, ancient merry-go-round or seesaws, … and of course the central pond where one can make navigate scale models of sailing ships. 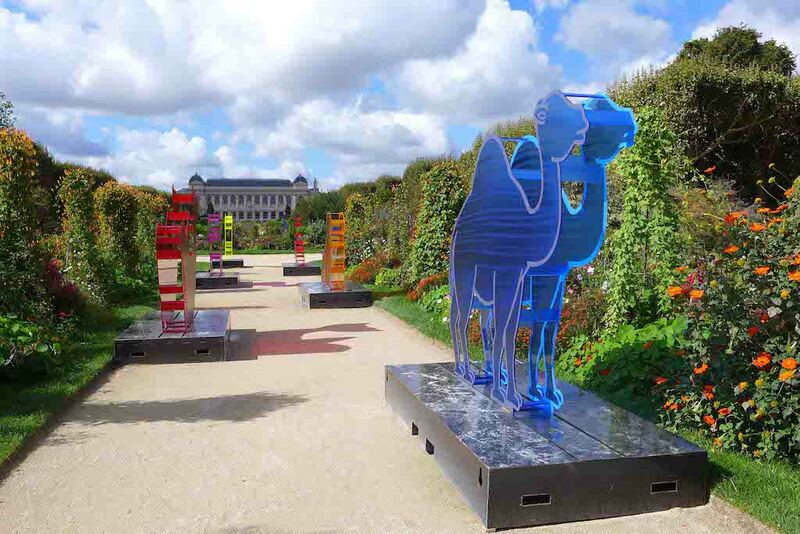 The Luxembourg is as wide as the Jardin des Plantes. 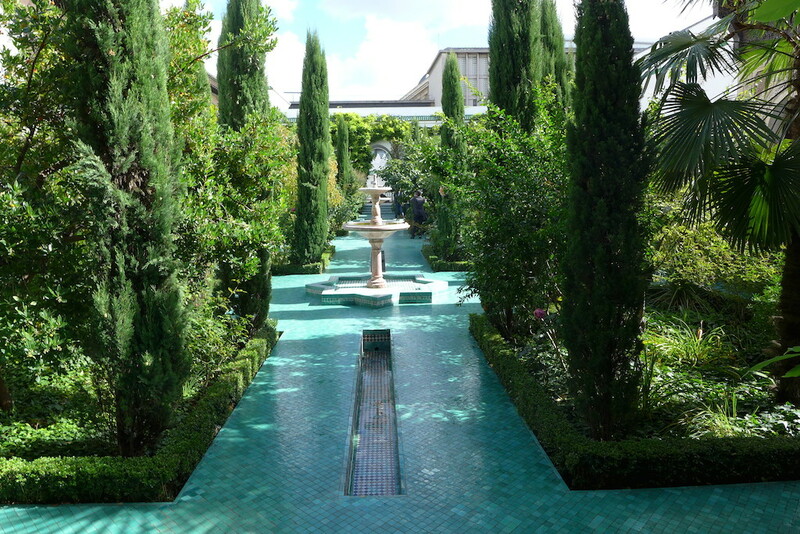 It is not only the garden for kids and students but also a romantic garden which shelters many fountains and sculptures and a lot of alleys where to stroll and dream. 7th stop: Where to eat? 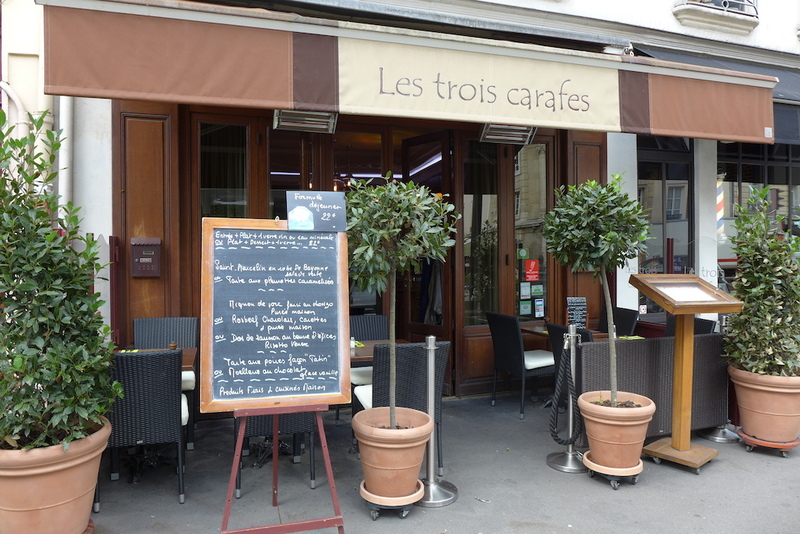 If you want to have a very good meal (well deserved after such a long walk) here are my four favourite restaurants up and down the Montagne Sainte Geneviève. 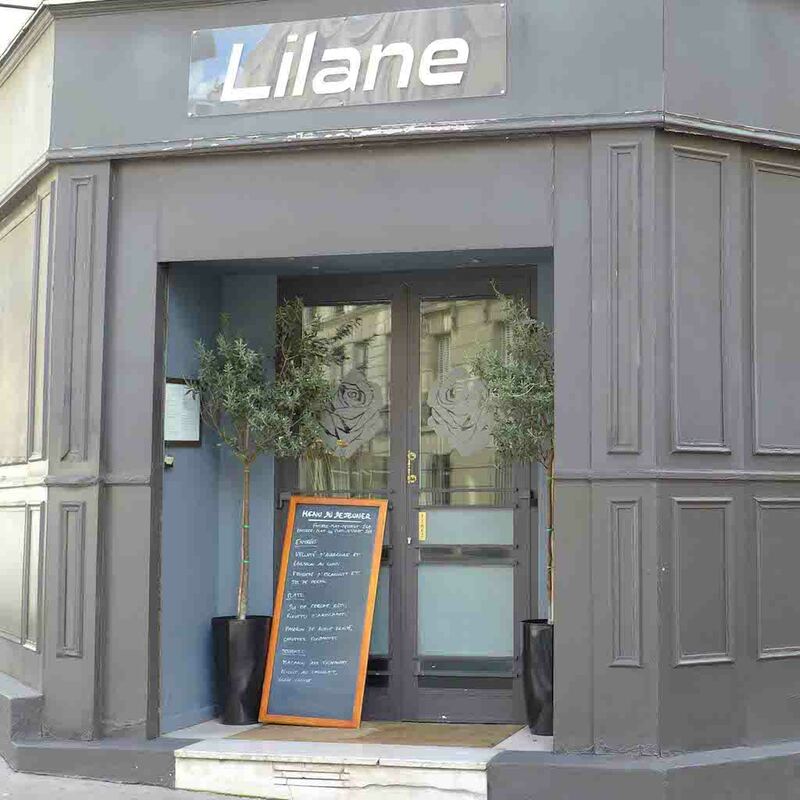 Check their opening times and menus and make your choice! 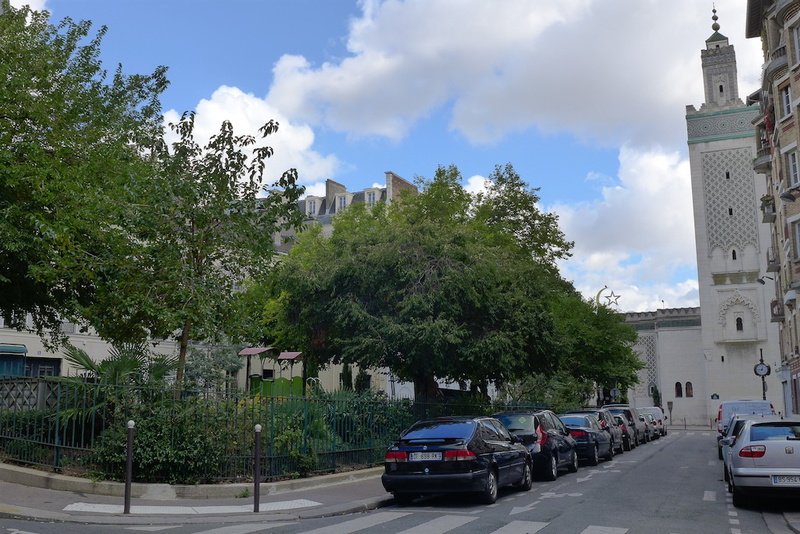 Les trois carafes, rue Linné, in front of the Jardin des Plantes; Le Jardin des Pâtes, rue Lacépède, very close to the Jardin des Plantes as well; Lilane, rue Gracieuse, between the Place Monge and the rue Mouffetard; and Les Papilles, rue Gay Lussac, close to the Jardin du Luxembourg. I can recommend them all for their excellent food and welcome! 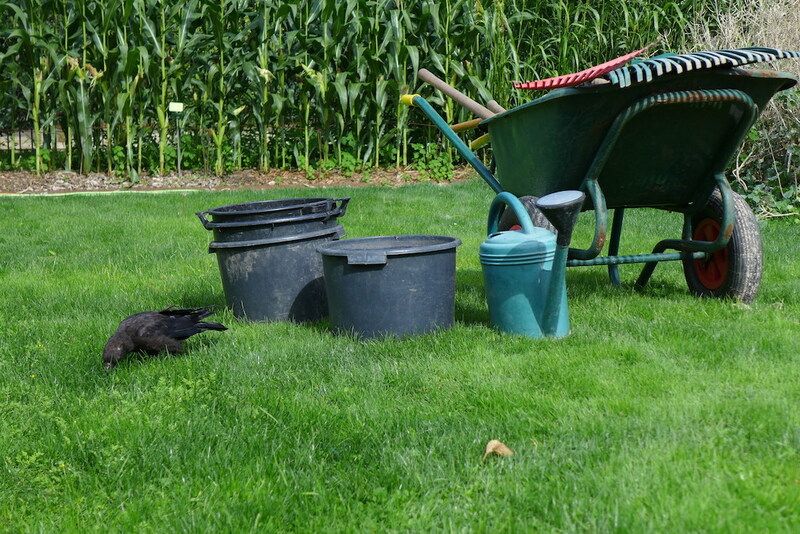 The coming weekend is said to be sunny. 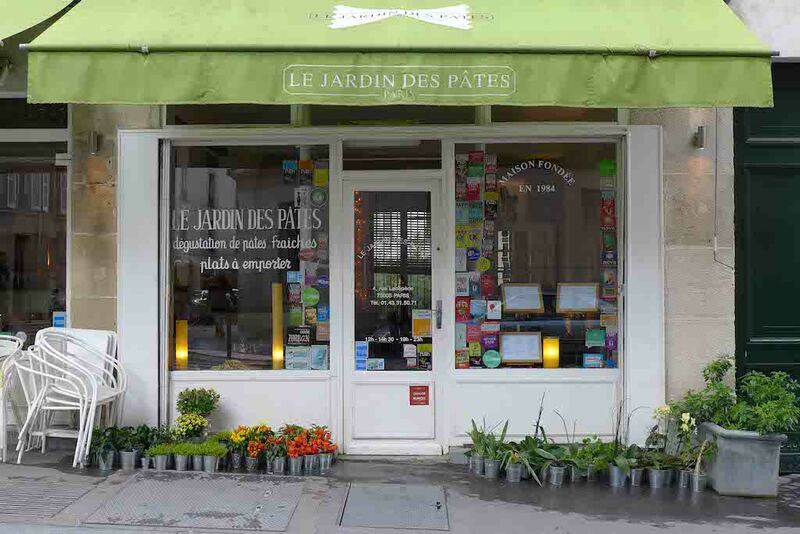 A good opportunity to make this walk or take a stroll in any other park or garden in Paris as on 26 and 27 September Paris celebrates its gardens with the 19th ‘Fête des Jardins‘: On this occasion various activities are scheduled in many gardens in Paris. Previous Previous post: Osiris Exhibition in the IMA in Paris: A Must-See!